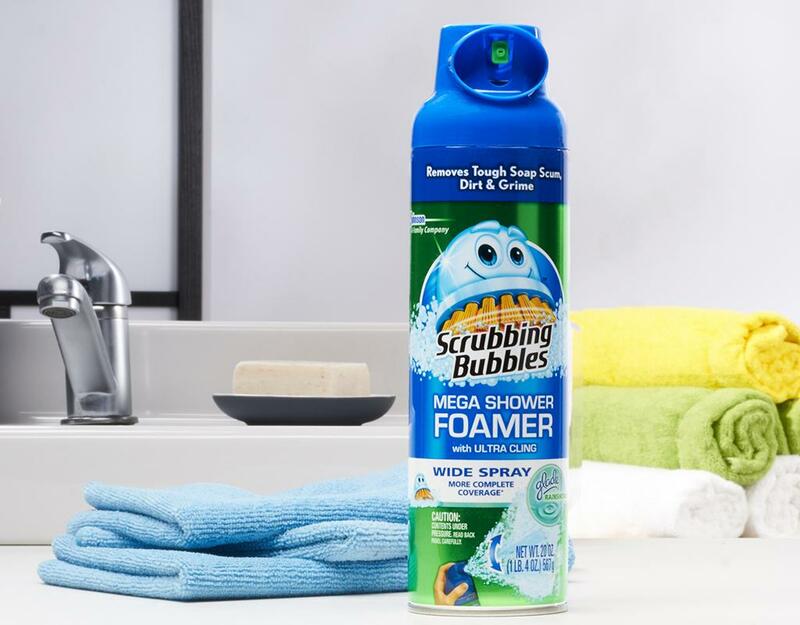 Cleaning your shower has never been easier. 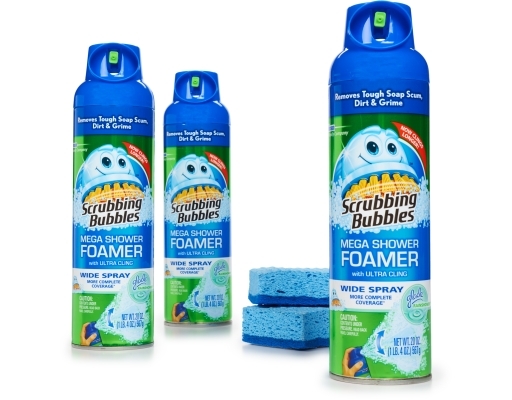 Scrubbing Bubbles Mega Shower Foamer penetrates through soap scum, dissolving it quickly while reducing mildew stains. It works on a variety of surfaces, so you'll be able to get your bathroom looking great - and fast. 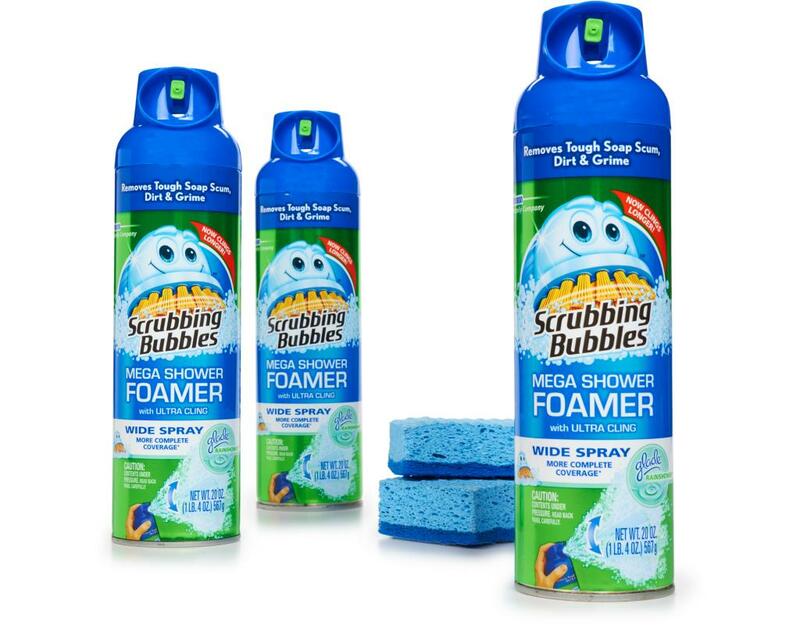 Scrubbing Bubbles Mega Shower Foamer cleaner makes cleaning soap scum easy thanks to its wide spray and ultra-cling technology, helping you quickly clean soap scum to deliver a clean shower. 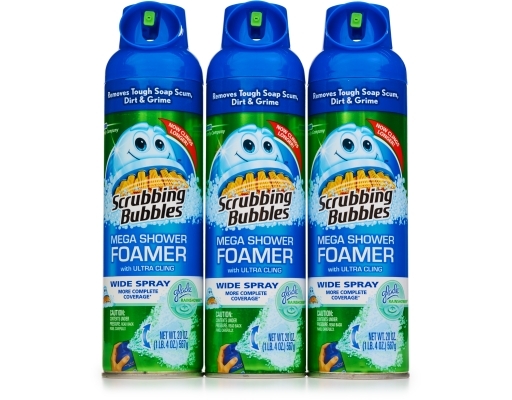 A big part of bathroom cleaning is tackling the shower. Scrubbing Bubbles Mega Shower Foamer is a foaming shower cleaner with an ultra-cling technology formula that penetrates and dissolves to work on contact, quickly cleaning soap scum. 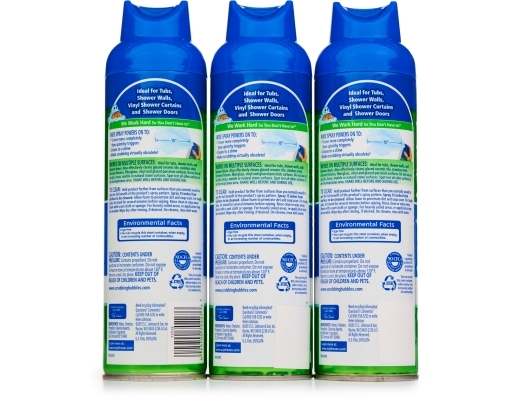 • The grime-busting foamer is the only wide-spray aerosol available. Covers more completely than splotchy triggers. • The wide spray of Scrubbing Bubbles shower cleaner powers onto the surfaces in your shower and clings for close to 4 minutes. 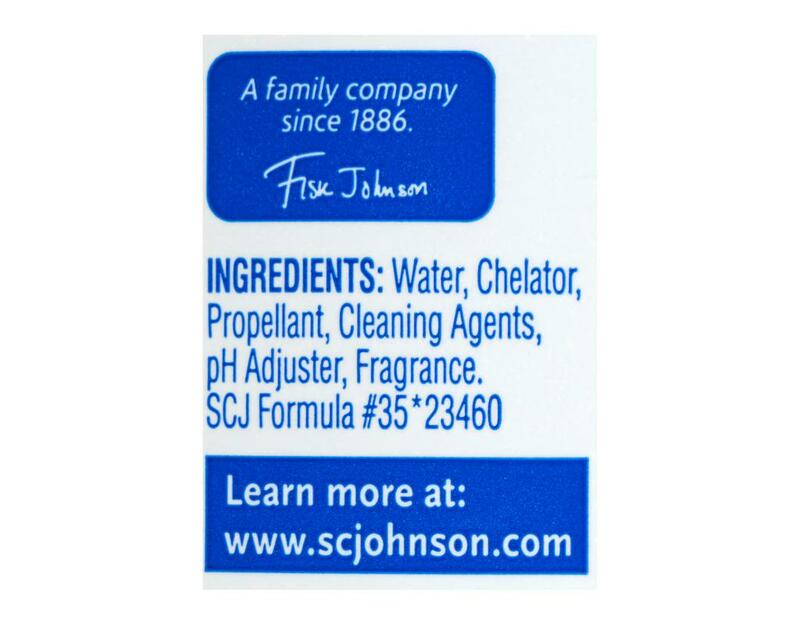 • The formula goes to work on contact, quickly cleaning soap scum and tough stains, making scrubbing virtually obsolete. • Safely clean shower doors, the shower head and other shower surfaces, including tile. 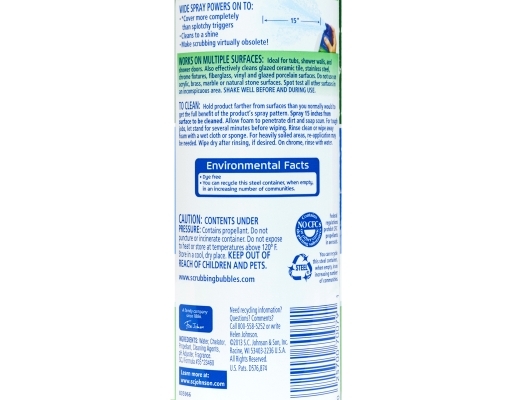 Ideal for tubs, shower walls, and shower doors. 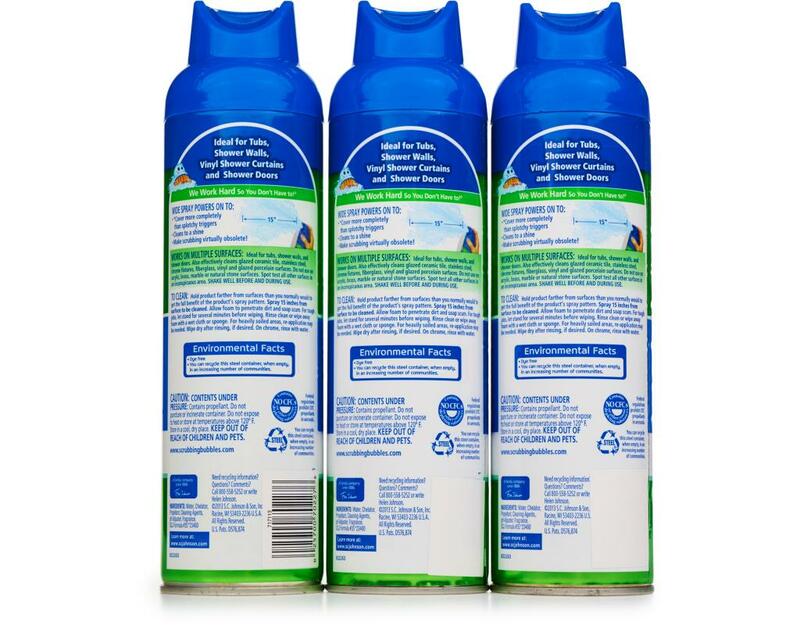 Also effectively cleans glazed ceramic tile, stainless steel, chrome fixtures, fiberglass, vinyl and glazed porcelain surfaces.